The right-most column aligned Sheri’s standards and practices to the Massachusetts standards. This helped her ensure alignment (compliance) to Massachusetts requirements. Now, not only is this breakdown wildly interesting, but it’s something that most teachers already do. Standards-based anything is basically basing your plan off a set of predetermined expectations. The gnarly part comes when it’s time to hand out grades. 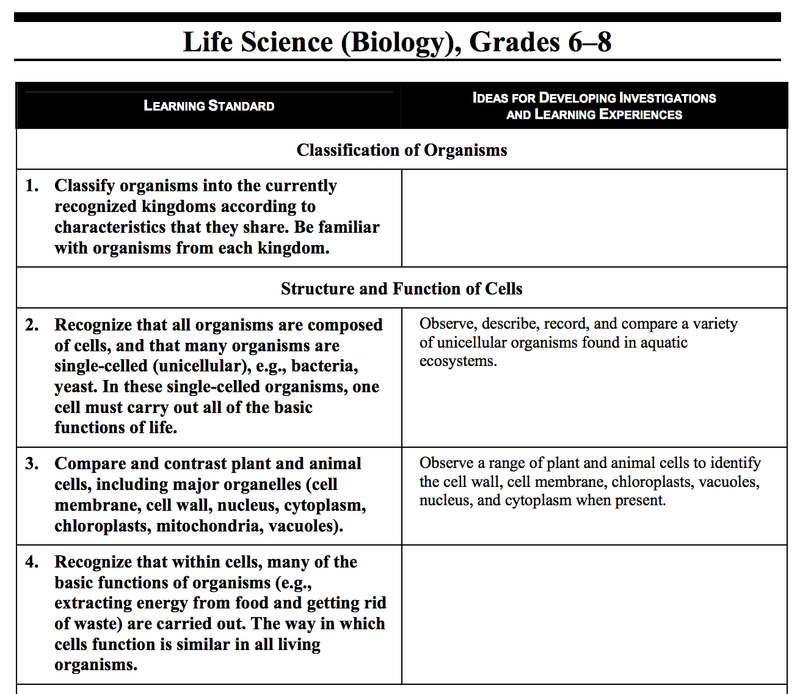 Standards-based grading is breaking down the overall average into categories so the student know exactly where his/her weaknesses and strengths lie. And it’s not exactly a walk in the park. 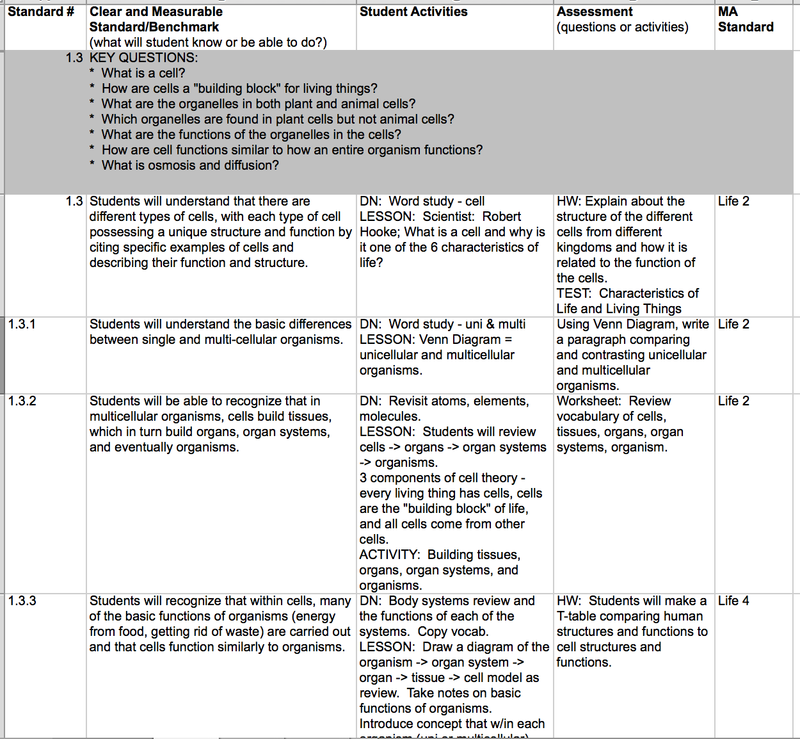 Sheri created unit tests with questions that would assess her students’ understanding of the material, and by extension, their mastery of the predetermined standards. Once she had questions that covered all the bases, Sheri had to manually input the results—question by question!—so she knew how each student did on each standard. Though tedious and time consuming, breaking tests down by question gives teachers insight to exactly where a student needs to focus his/her attention. Unfortunately, it’s a lot of work for teachers, especially those who aren’t fluent in Excel spreadsheet manipulation. And again, this is where Gradeable comes to the rescue. By creating standards-based assessments and quizzes with Gradeable, a student’s standards-based progress is at your fingertips. After each quiz is automatically graded, teachers can see how the class is doing, by student, by question, or by standard. Even more, Gradeable accumulates all these stats as you go, so come report card / parent-teacher conference / principal meeting time, a student’s progress is in black and white, (and red, yellow, and green) ready to be exported for all to see. So if you’re over inputting data in Excel, Gradeable may be your solution. If not, what features would help your grading workflow? What are your pain points? We’re here to help your provide better feedback and make sense of all that data so you can get back to what you do best: teaching. 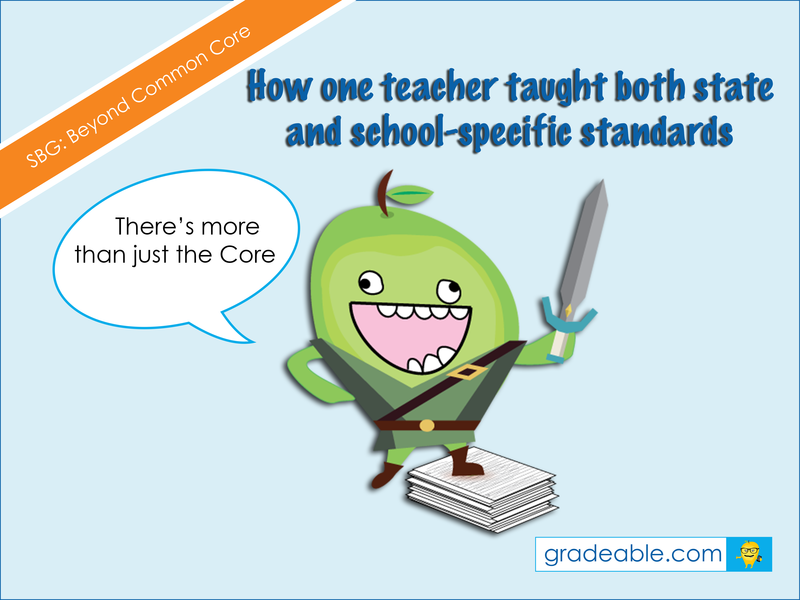 Try Gradeable free for a month, and if you have any questions, email bon@gradeable.com.